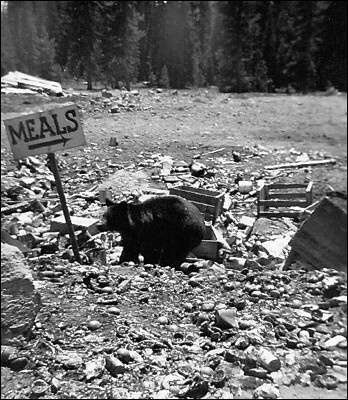 Mister Bear in the garbage dump at Crater Lake, 1942. Grandpa Fred had a talent for sniffing out bears. There are several photos in the archives.